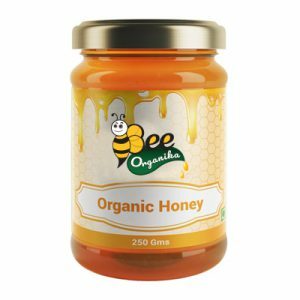 Bee Organika’s Dates with Honey are highly nutrient-dense foods. Dates are flowering plant species from the palm family. It is usually cultivated for its sweet fruit. Scientifically called Phoenix dactylifera, the date fruit is believed to have originated in Iraq. The leaves of the date tree are 4 to 6 meters in length, with spines that have about 150 leaflets. Dates are especially rich in vitamins B6, A, and K. These help in bone development and improve eye health. The fiber in dates enhances intestinal health. It also prevents dangerous ailments like stomach and colon cancers. Other minerals like calcium, iron, potassium, protein, manganese, magnesium, phosphorus, copper, and sulfur aid in the overall body functioning. They improve the metabolism and immunity as well. Folate is good for pregnancy. Thiamin (nervous system), niacin (cholesterol levels), and riboflavin (energy production) are the other vitamins the fruit is rich in. 1. Dates are free from cholesterol and contain very low fat. Dates are rich in vitamins and minerals. 2. They are rich source of protein, dietary fiber and rich in vitamin B1, B2, B3 and B5 along with vitamin A1 and C.
3. It helps improve the digestive system as it contains soluble and insoluble fibers and different kinds of amino acids. 4. Dates are great energy boosters as they contain natural sugars like glucose, sucrose and fructose. 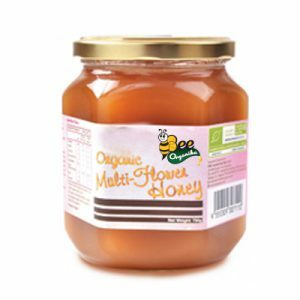 To get more advantage add Bee Organika's Dates with Honey to milk and make it a very nutritious snack. Dates are very low in calories and are extremely suitable for health conscious people. 5. Dates are rich in potassium and reduced in sodium. This helps regulate a healthy nervous system. Researches have revealed the fact that potassium intake up to a certain extent can reduce risk of stroke. Dates also help in lowering of the LDL cholesterol. 6. Dates have high iron content and are very useful in treating anemia. The patients can eat many dates for better advantages. Dates also have fluorine that slows down the process of tooth decay. 7. It helps people suffering from constipation. .
8. It helps increase one’s sexual stamina. Soak one handful of Organika's Dates with Honey in goat’s milk overnight. In the morning grind the dates with honey in the milk and cardamom powder and drink it. 9. Dates help in weight gain and are beneficial for those who suffer from over slimming problem. 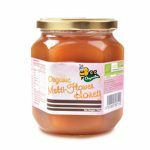 Organika's Dates with Honey are excellent for alcoholic intoxication. 10. Cures abdominal cancer. The best thing is that it does not have any side effect on the body and is completely natural as well as it works better than medicine. It also helps in improving eye sight and helps in curing night blindness as well. 11. They work wonderfully for the GI tract. 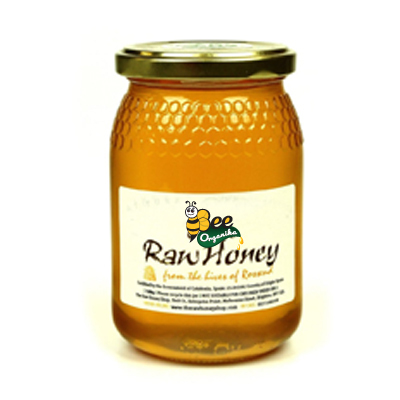 They help combat the most stubborn case of constipation and bowel irregularity. Dates reduce the transit time of stool within the colon and thereby lower the colon’s exposure to deadly carcinogens (cancer causing agents). 12. Dates are also known to increase feelings of satiety and can hence aid in weight loss and weight management. 13. Dates check the multiplication of worms and parasites in the bowel, and promote the growth of the friendly, beneficial bacteria within the gut. 14. Dates are widely used to treat anemic conditions. The fruit is chockfull of iron and thus helps build blood. It manages anemic headaches, breathlessness and dizziness successfully. 15. Dates also promote healthy heart functioning. The fruit checks a range of cardiovascular diseases. Notably, beta-D-glucan decreases the body’s absorption of cholesterol and facilitates in maintaining a normal lipid profile. 16. Research also says that dates contain powerful anti-oxidants that ward off cancers by fighting off the free radicals than cause damage to the DNA of the cells.